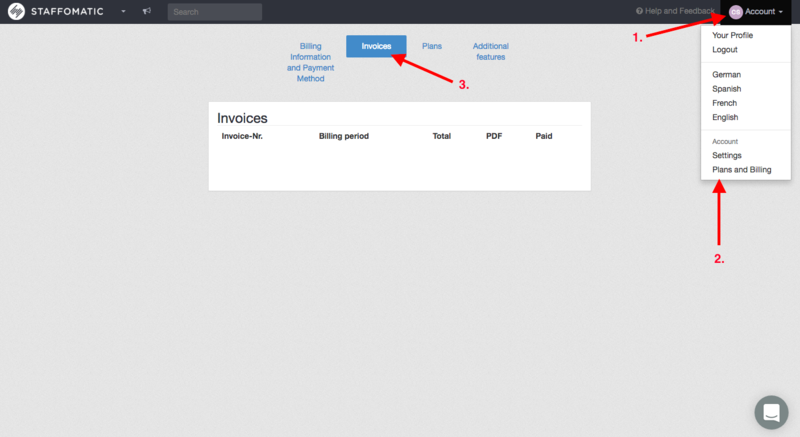 You can access and download your invoices as an administrator in your account. In addition, you get depending on your plan selection monthly or annually an email with the link to your current invoice. To access your invoices click on 'Account', 'Plans and Billing' and 'Invoices'.